Recently, news circulated in local media in China stating that Honor, which is a sub-brand of Huawei, would soon be separated from its parent company and become a stand-alone company. This confusing news raises many widespread concerns. Especially on the internal Honor. Huawei's sub-brand was launched by Huawei in 2013. At that time, several companies such as Xiaomi were only a few years old and Xiaomi could easily expand its business and increase rapidly. So Huawei sees the need for Honors to continue to grow bigger to provide competition that is "commensurate" to OEMs and competitors. At that time, Huawei's mobile phone business success was also supported by the sales performance of Honor smartphones. In fact, Honor shipping has now surpassed Xiaomi and many people believe that if Honor becomes a stand-alone company, it will greatly affect Huawei's performance and it is not impossible to fulfill its expectations to surpass Samsung. However, does Honor really separate from Huawei and form a separate company? 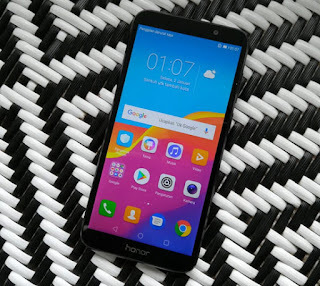 When Honor was contacted by the media, Zhao Ming (CEO and Vice President Honor), as quoted by Gizchina, said that Honor would continue to operate as an independent brand, but would remain a part of Huawei. Zhao Ming said that Honor cellphones were established more than four years ago, and changed and continued to grow with rapid acceleration. In the future, Honor will remain closely attached to the Huawei brand, and both companies will join together to create global products for Huawei's business and consumers. 0 Response to "Honor will be separated from Huawei? This is the Boss Honor's words"